In technical diving the surface is often inaccessible in an emergency, so tec divers use extensive procedures, equipment and training to manage the added risks and potential hazards. 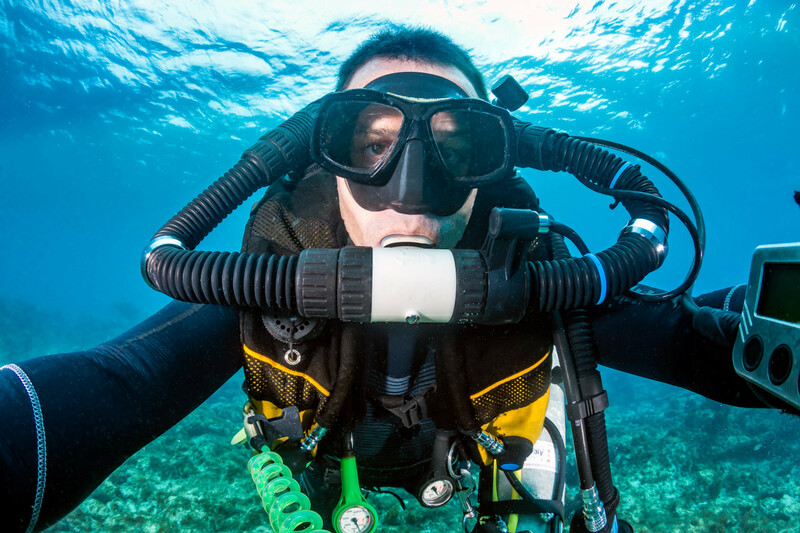 Although founded on extensive open-circuit scuba technology, tech diving has been revolutionized by the development, availability and reliability of closed circuit re-breathers (CCRs). CCRs have numerous benefits and provide tec divers with significantly more time underwater. If you are interested in Technical Diving give us at In 2 Deep a call, or send us an email and we will schedule a time to meet with you to discuss the different tech diving possibilities to see what interests you the most. From there we will price out the Course(s) and the required gear depending upon your interests.